Show your flair for style and value with windows as beautiful as they are energy efficient. 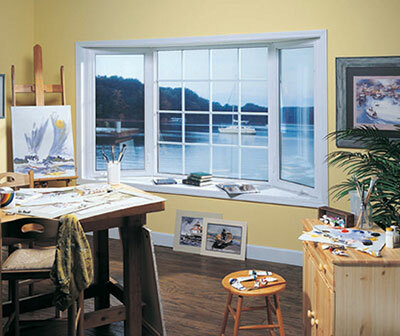 Nothing adds to a room’s natural feel of wonder like a PlyGem Lifestyles bay or bow window. They provide narrow sight lines and beading for an authentic look. Plus, stain-grade clear wood for the head, seat and jambs allow for endless interior design possibilities (available in oak or birch). Color matched locking and operating hardware combines easy operation with functional beauty. 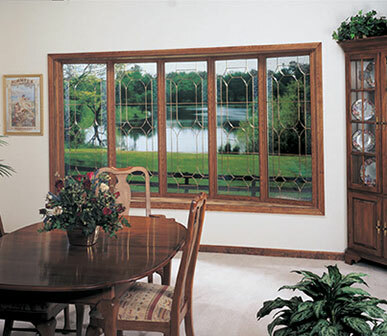 Bay and bow windows feature an easy-to-reach casement locking system with multiple locks along the entire window jamb activated simultaneously with a single locking handle. An interior glazing bead also deters glass removal from outside and provides a waterproof seal to protect the insulating glass. The real beauty of our windows can be summed up in one word: choices. When you’re buying windows that will last the way ours do, you’re going to make sure the appearance is also ideal for your home. That’s why we offer so many choices of designs and colors. 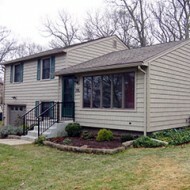 We didn’t compromise on how they perform, so don’t settle for anything less than the perfect look for your home. 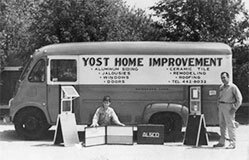 To see our design options, click here. 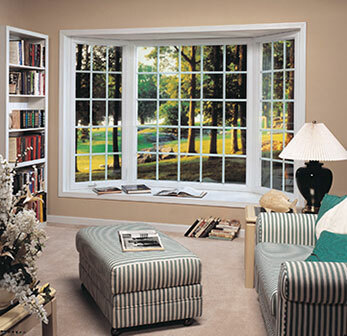 Not only do bay and bow windows add style, they also work to reduce your home’s energy consumption. Special insulation along mulling points are combined with R-Core polyurethane insulation for high energy efficiency. The operating casement windows seal tight for lowest possible air infiltration rates. Optional deluxe insulated (polyurethane) super seat is highly recommended for energy efficiency, and optional Hi R+Plus or Maxuus glass systems for specific protection suited to your home. Keeping your windows looking great has never been easier The solid uiPVC construction is maintenance free and solid decorator grids are manufactured inside the insulated glass unit to allow easy window cleaning. 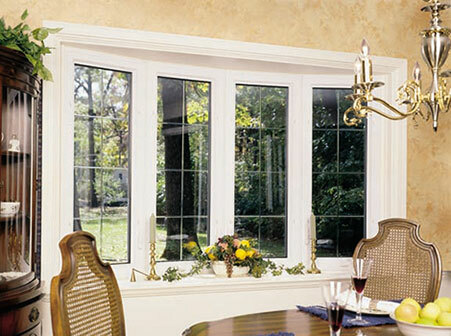 Plus, the casement hardware enables operating windows to be cleaned from inside the home. The fusion-welded construction provides extra strength while the warm-edge intercept insulated glass offers increased sturdiness and comfort. The entire window unit is covered by a transferable lifetime limited warranty. 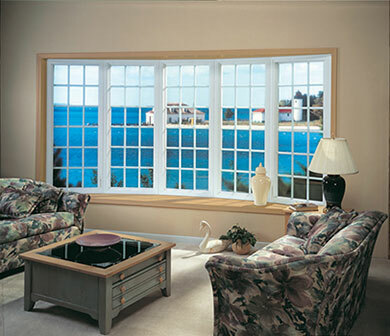 The standard cable-support system and knee braces make bay and bow installation easier and stronger, and optional laminated head and seat options provide a perfect match to all woodgrain window options.